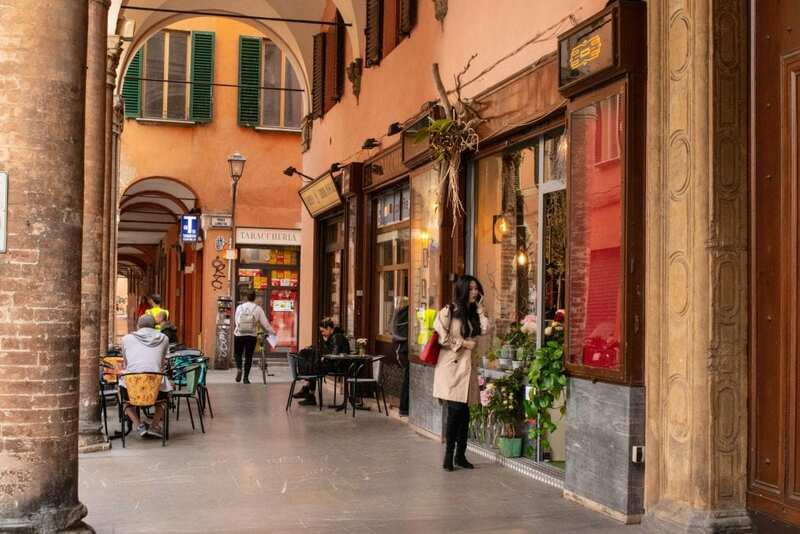 Oh, Bologna: as the capital of the Emilia-Romagna region in Italy and a foodie paradise, there are dozens of things to do in Bologna to captivate you during your visit (and yes, many of them are related to stuffing your face). We spent a month this spring living in the city that is known as La Dotta (the learned, for its university), La Rossa (the red, for its architecture), and La Grassa (the fat, for its food), and we walked away glad we had the opportunity to savor Bologna slowly… mostly because it meant we had plenty of opportunities to eat there. Planning a trip to Bologna and not sure where to start? 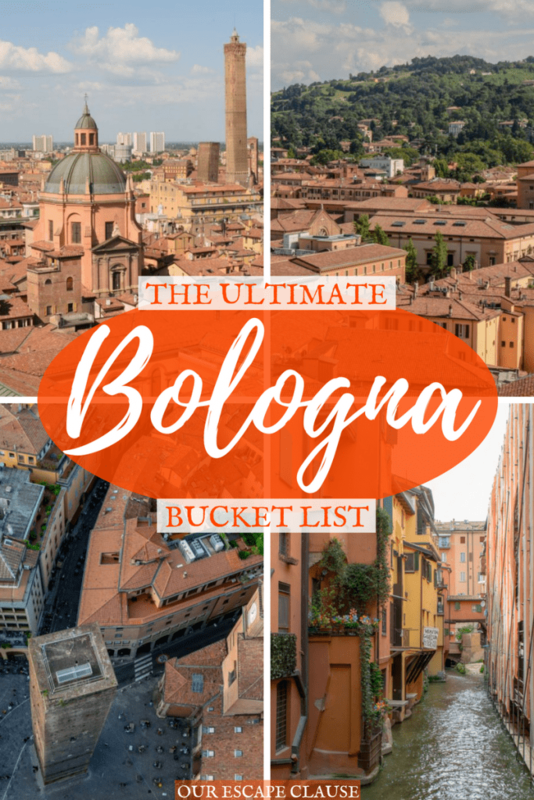 Here’s are the best things to do in Bologna-this list got rather long, because as it turns out, there is more to do in Bologna than first meet the eye! Stop by the Piazza Maggiore. Bologna’s main square is the perfect first stop on any trip to Bologna: the Piazza Maggiore holds Bologna’s largest cathedral (San Petronio Cathedral), an elaborate Neptune Fountain, and some of the city’s best people-watching opportunities: grab a cappuccino or a sprtiz from one of the shaded cafes and enjoy watching the city go by. 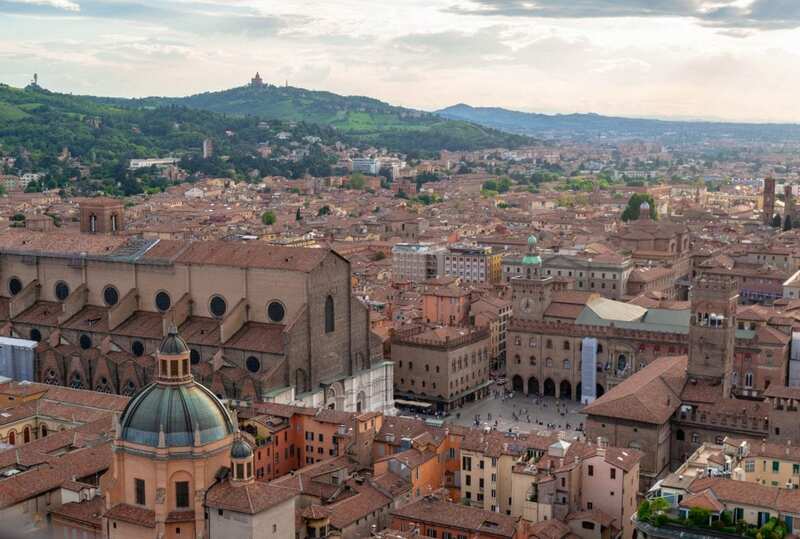 Climb the Asinelli Tower for an incredible view of Bologna. Want to see a leaning tower in Italy but not planning to make it to Pisa? 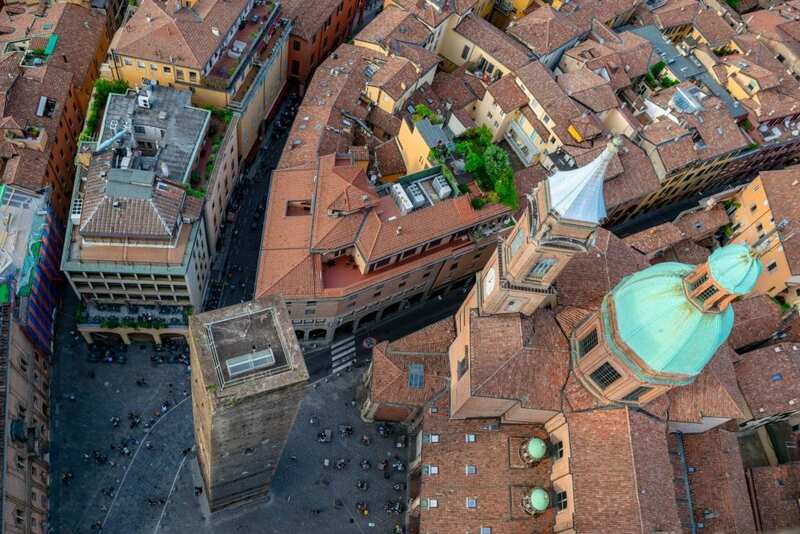 Don’t worry: Bologna is actually home to a taller leaning tower than Pisa anyway! The leaning towers of Asinelli and Garisenda stand right next to each other, and if you’re up for quite the climb (all 498 steps of it), Asinelli is available to tour and boasts incredible views over Bologna. If you’re feeling brave, you can ever lean over up top (don’t worry, it’s enclosed and safe) to get a great view of the shorter Garisenda Tower beneath you. As someone who is scared of heights, climbing this tower wasn’t my favorite thing in the world… but the views made it worth it. There are only a limited number of people allowed to climb Asinelli at a time (we had to wait several hours for our time slot), so we recommend booking tickets and getting a set time to climb in advance. Stroll down Via Drapperie and admire the food shops and restaurants. Via Drapperie is one of the most picturesque streets we have seen in Italy (and considering how much we travel here, that’s really saying something!). Imagine a small cobblestone street with towering buildings reaching up on either side, and then add in tons of food stalls, crowded shops, flower stands, and cafes with tables spilling onto the sidewalk–that’s Via Drapperie. This is one of our favorite spots to photograph in Bologna, and it also makes incredible dog people-watching: in the early evening, grab some prosecco and a plate of cured meats (one of Bologna’s specialties!) and settle in to enjoy the show. 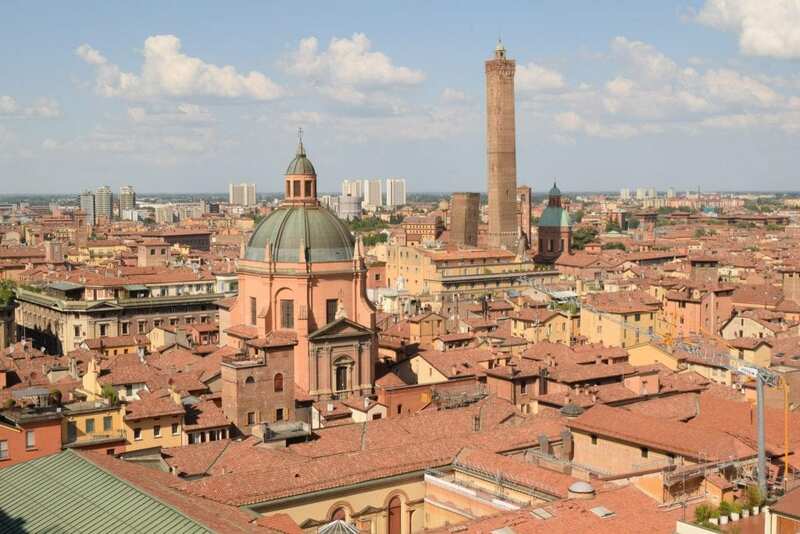 Visit San Petronio’s Terrace for great views of Bologna that also feature its famous towers. Though Asinelli Tower provides the highest viewpoint within Bologna, San Petronio’s Terrace provides what is probably my favorite–I’m partial to any views that include a city’s most epic landmarks, and San Petronio’s Terrace boasts a wonderful view of Bologna’s leaning towers! Emilia-Romagna is one of Italy’s most foodie-friendly regions (this is the place that produces true parmigiano-reggiano and balsamic vinegar, after all), and the food is one of the major reasons to visit Bologna. While you’re there, be sure to try the tagliatelle al ragu and the mortadella–you’ve probably had less-than-ideal versions of both in the past, as they’re better known throughout the world by the names inspired by their origin: spaghetti bolognese and bologna (though I promise, mortadella is nothing like what you pick up in the average grocery store!). 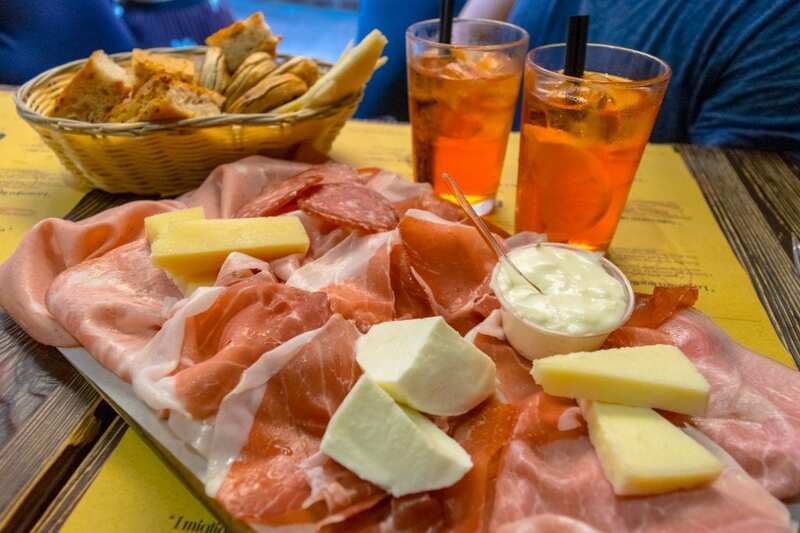 Other specialities to try in Bologna include tortellini en brodo, parma ham, zuppa inglese, gramigna alla salsiccia, lasagna, and many more. Hunt down the hidden canals of Bologna. 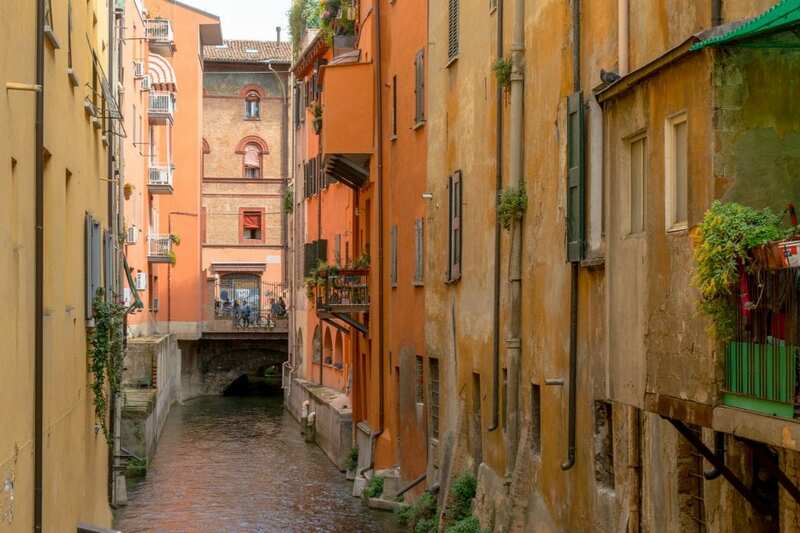 Venice isn’t the only place you can see canals in Italy: Bologna is home to several canals that date back to the Middle Ages, but you’ll have to go on a bit of a scavenger hunt to find them! Many of the canals have been closed off as the city has grown, or can only be seen from certain spots (there’s even one you can spot through a window!). Luckily, Bologna makes it easy on people seeking out canal views: they provide a handy map of where they are, and the walk through town is a great way to see more of Bologna along the way. Take a day trip (or four) outside the city. Bologna may be the capital of Emilia-Romagna, but it’s hardly the only place worth seeing while there! The city makes an excellent base for day trips around the region and beyond: consider a trip to Rimini for one of Emilia-Romagna’s best beaches, San Marino to visit the world’s fifth smallest country, Florence to get a taste of Tuscany, and Verona to chase the ghosts of Romeo & Juliet (or just to enjoy a really cool Italian city). 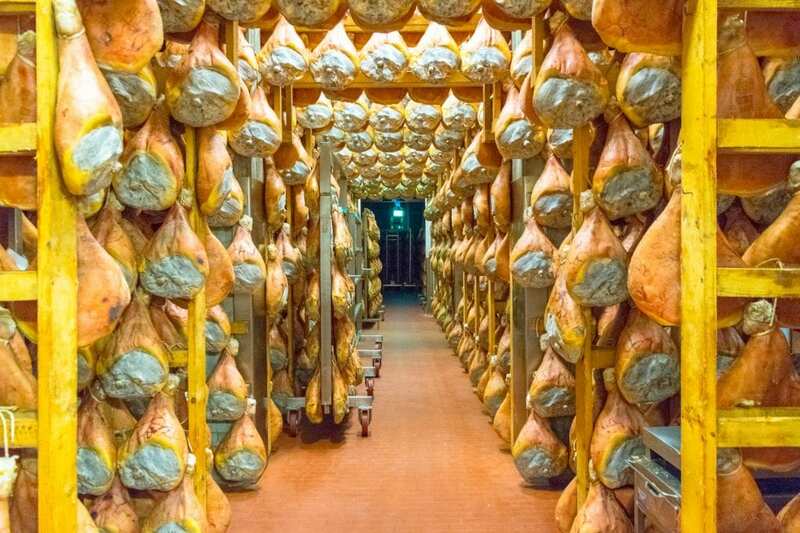 For foodies or those looking to stay close by, two of the best day trips from Bologna are to Modena (home of balsamic vinegar) and Parma (home to parma ham and parmigiano-reggiano). We loved our food-filled day trip to Parma! 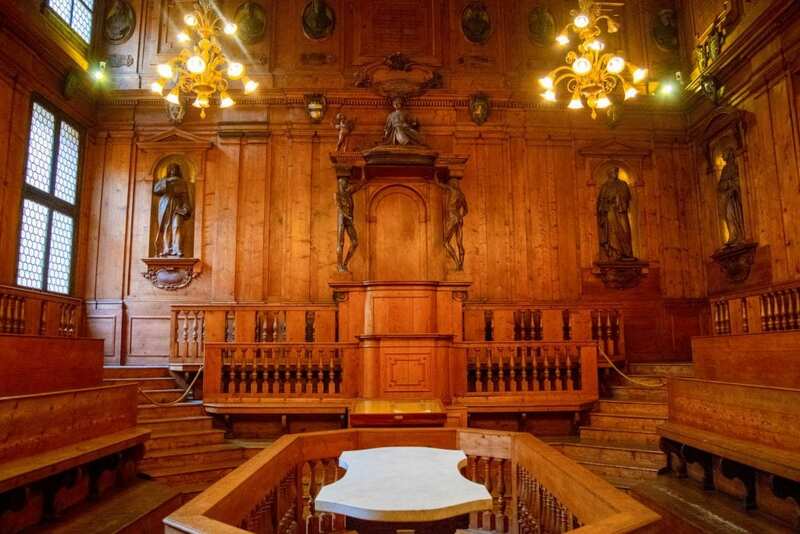 Visit the Anatomical Theatre & Library of Archiginnasio. There’s something magical about wandering through opulent, historical universities: there is just so much history and mystery (pardon the rhyme) there. The palace of Archiginnasio dates back to the 16th century, and has long belonged to the University of Bologna–and it is beautiful and interesting enough to belong on any list of things to do in Bologna. Most notably, the palace boasts a 17th-century carved anatomical theatre, which is easily the most opulent place imaginable for learning how to cut open bodies (trust us–it’s worth taking a look), and the library, which is lovely and stretches on as far as the eye can see (literally, as unfortunately most of it is closed to people who are not students–still worth a peek, though!). Pay a visit to the Bologna National Gallery. Italy is bursting at the seams with art museums, but the Bologna National Gallery has a special twist: it focuses on local work from Emilia-Romagna. You won’t need a whole day here, but it is definitely worth stopping by for a couple of hours and getting a feel for what the style of Emilia-Romagna has been throughout the centuries–the art reaches back much further in time than when the region has been part of a united Italy. Looking for a unique climb in Bologna? Torre Prendiparte fits the bill. 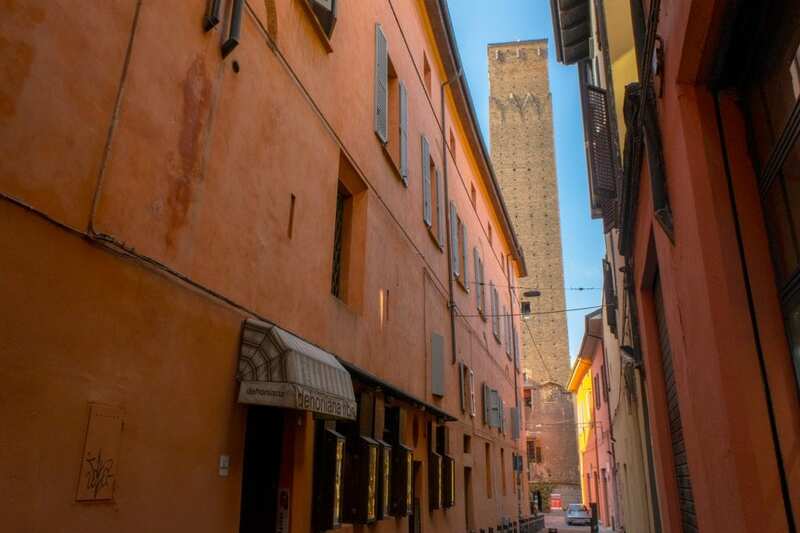 Not only does this tower boast a fabulous view of Bologna from its terrace and an interesting history as a prison, you can also sleep there if you like! Tucked into a quiet square in Bologna that you would never know is there without a map, Torre Prendiparte is home to a tiny bed & breakfast that definitely fits the bill if you’re looking for unique accommodation in Bologna! 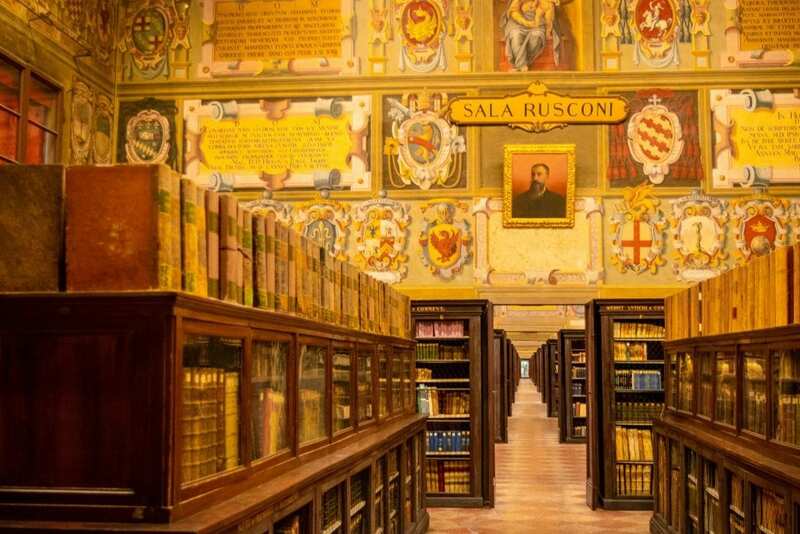 Pay a visit to the museum of the history of Bologna. Want to get an overview of Bologna? The history museum is the perfect place: learn all about the different phases of Bologna’s history, and walk away with context that will help you enjoy the rest of your things to do in Bologna even more! Learn all about the making of Emilia-Romagna’s most famous foods. We headed to Parma during the end of our month in Bologna specifically to go on a food tour (that we maybe-kinda-sorta partially booked because of my desperate desire to see hundreds of wheels of parmigiano-reggiano aging in person), and had an absolute blast! Throughout the day, we visited a parmigiano-reggiano factory (and yes, it lived up to expectations), a parma ham factory, and a passionate balsamic vinegar producer at his home/one-man production spot–plus a stop for a delicious lunch, of course, because what respectable food tour doesn’t involve lots of eating? 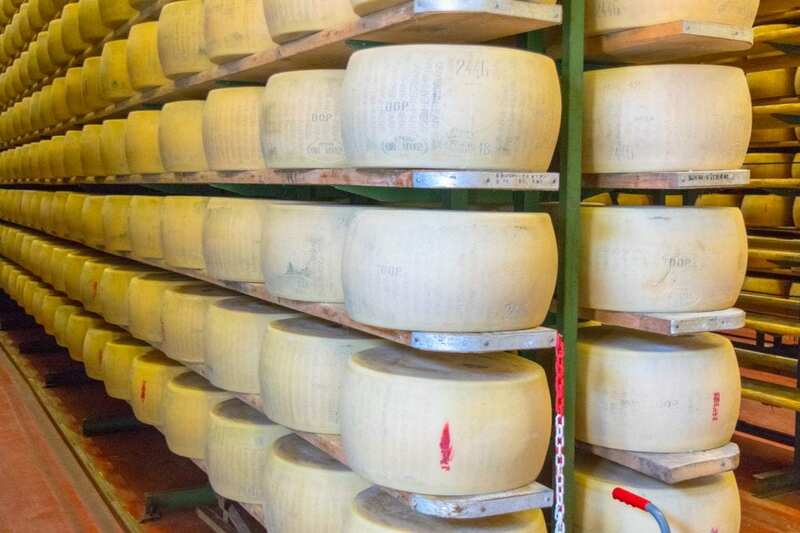 If you’re looking to spend a day getting out into the countryside of Emilia-Romagna while exploring the region’s specialities, we can’t recommend the Parma Delicacies Tour enough (not sponsored, we’re just big fans of well-run food tours). As a bonus, we got back to Parma early enough that we were able to spend some time enjoying the town before catching our train back to Bologna! Book your Parma Delicacies Tour to explore some of Emilia-Romagna’s best foods! Check out the Museum for the Memory of Ustica. In Jun 1980, Itavia Flight 870 was in route from Bologna to Palermo when it exploded, killing all 81 people on board. In the nearly 40 years since, the flight has remained a source of controversy and contention: it’s widely agreed that the plane was shot down by a missile, but less clear is who shot that missile, and why. At the Museum for the Memory of Ustica, you can explore that question… with the plane itself. The wreckage from the flight, along with personal artifacts from the victims, works to create a truly unique museum that highlights a violent and senseless tragedy. This museum does have limited and somewhat strange hours, so if you want to make sure that visiting is one of the things you do in Bologna, be sure to plan ahead! Bologna’s porticoes are not only beautiful, they’re one of our favorite features of the city from a functional standpoint: these wide walkways flanked by columns keep you cool on hot days and dry on rainy ones, while also making sure that most roads have plenty of walking space that will never be interrupted by vehicle traffic. There is a Disney World for people who love Italian food instead of princesses, and it’s in Bologna. Eataly World is new to Bologna, and is essentially an Italian food amusement park: whether you’re looking for food to buy to take home, a plate of food to eat immediately, an educational discussion on Italian food, or a cooking class, you can find it at Eataly World. 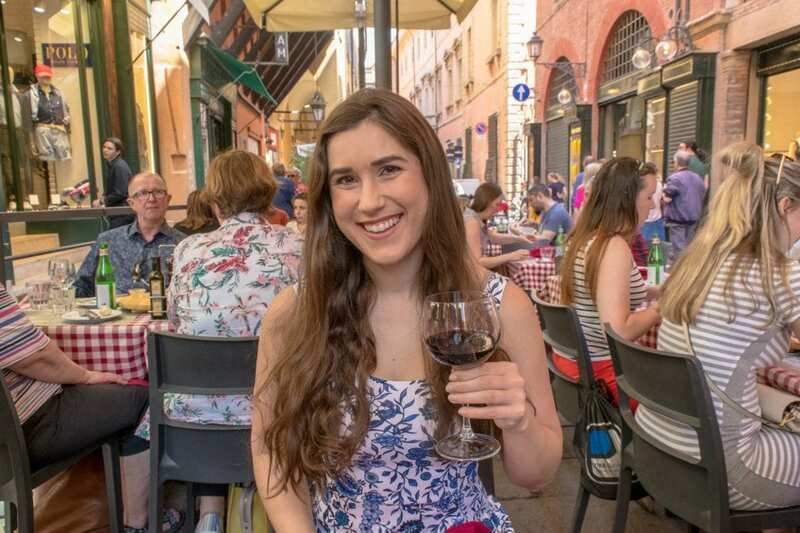 Unapologetically touristy (I wouldn’t expect to see many Italians there), Eataly World is definitely one of a kind, and if you’re curious, is worth adding to your list of things to do in Bologna. Like any respectable Italian city, Bologna is home to more markets than you can count! Be sure to stop by Mercato delle Erbe for food (parts of the market have even been converted into a food court, so no worries about bringing things home to cook! 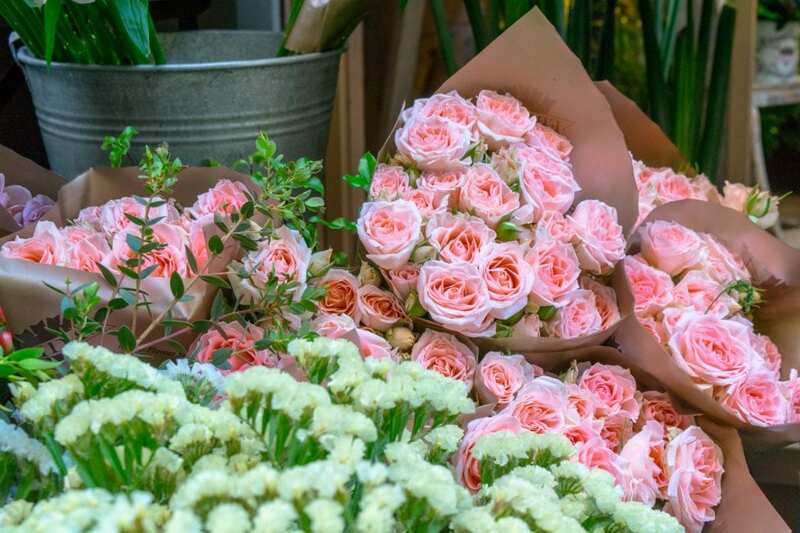 ), La Piazzola for a clothes market with a more local feel, Campagna Amica for a delicious farmer’s market, and Fiera del Libro to peruse all kinds of books! 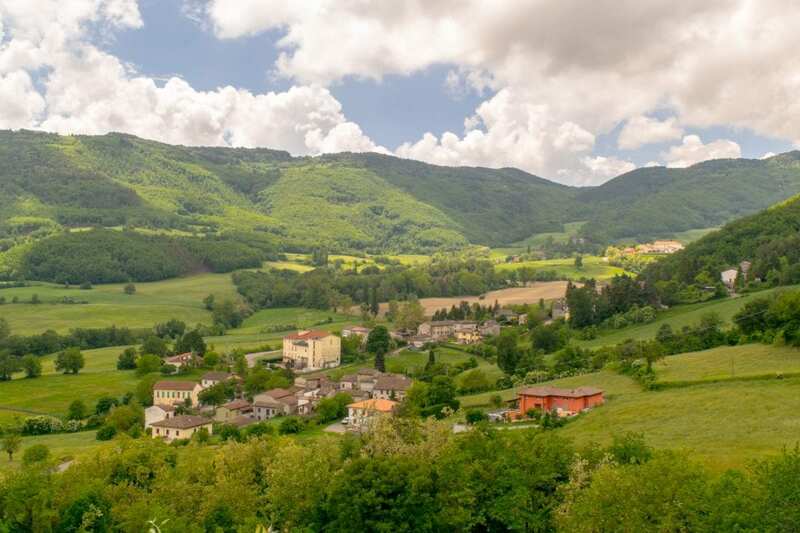 Though nearby Tuscany is a much more famous wine region from an international perspective, Emilia-Romagna holds its own! The region is home to several different wines, the most typical of which is a Sangiovese. If you’re going to be in Bologna for a few days, be sure to schedule a trip out to a nearby winery to soak in the views while you sample the local specialties! Though Bologna is generally very safe, be sure not to visit without travel insurance! Stop by the Piazza Santo Stefano. 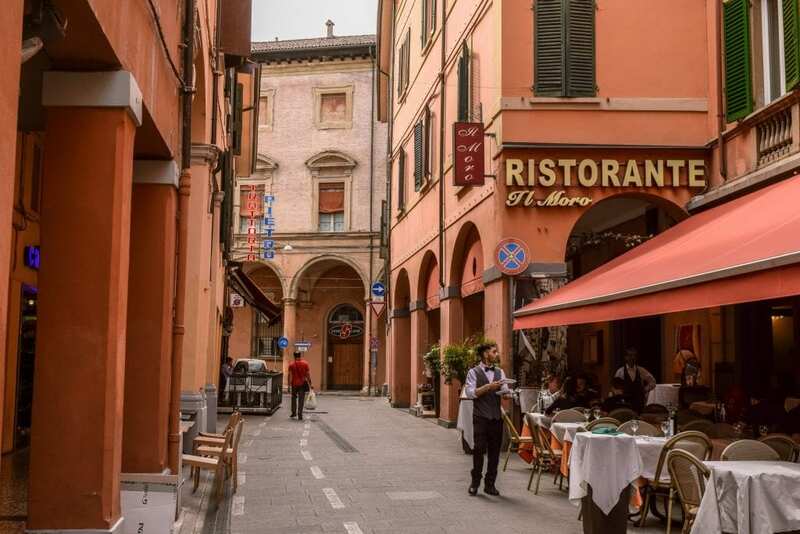 Small and quiet, Piazza Santo Stefano is located just a short walk away from Bologna’s leaning towers–and if you’re looking for a pretty spot to admire Bologna’s porticoes or simply somewhere to relax with a cup of coffee, this piazza is a great option. Try your hand at a cooking class. Bologna is known for some absolutely incredible food, and what better way to learn how to take the flavors of tagliatelle al ragu, tortellini en brodo, and more home with you finish working your way through all the things to do in Bologna than to make them yourself in a cooking class? This cooking class is well reviewed and takes place in the home of a local family! Climb to the Sanctuary of the Madonna di San Luca. If you have an afternoon to spare, climbing to the Sanctuary of the Madonna di San Luca is a fabulous way to see more of Bologna! The roughly hour-long walk from Piazza Maggiore to the sanctuary is mainly covered in beautiful porticoes, ensuring that the climb is shaded, dry, and lovely regardless of the weather. Once you reach the sanctuary, you’ll be able to see beautiful views of Bologna down below! Though you can also reach the sanctuary by car, the walk is a far more memorable thing to add to your list of what to do in Bologna. Stop by the archaeological museum. One of the most extensive archaeological museums in Europe is housed right next door to the Piazza Maggiore in Bologna! Home to exhibits that highlight artifacts from the Etruscans, Egyptians, Romans, Greeks, and beyond, the Bologna archaeological museum is an excellent place to step way, way back in time–no history lover should skip putting the archaeological museum on their list of things to do in Bologna! No list of things to do in Bologna can avoid specifically discussing the food! I know I covered it a bit already, but I can’t resist calling out a couple of special dishes again–because truly, if you were to visit Bologna for one thing and one thing only, it should be for the food. A full rundown of local cuisine could fill a book, but if you’re looking for quick overview great dishes to try, here’s what you absolutely can’t miss eating while in Bologna. True parmigiano-reggiano–also known as one of the best cheeses in the world–comes from the towns of Parma and Reggio Emilia, both of which are located within an hour of Bologna. That means that the parmigiano-reggiano in Bologna is, hands down, some of the best in the world. We personally love the cheese that has been aged 30+ months, as it has the sharpest taste and most crumbly texture, but preferences vary–many people love the creamier 24-month cheese! Forget the “salad dressing” you find on grocery store shelves at home–traditional balsamic vinegar is aged for a minimum of 12 years, preferably 25, and is more like a rich, almost-sweet-but-also-tangy syrup than a salad dressing. Before trying it, the thought of dribbling a few drops of balsamic vinegar over strawberries, gelato, parmigiano-reggiano, or custard seemed utterly bizarre–but trust me. It is amazing. If you’d like to learn more about the (literal decades) of work that goes into making traditional balsamic vinegar, consider heading out on a foodie tour to Modena! Traditionally served on Christmas, tortellini en brodo (pasta in broth) is a very simple stuffed pasta dish–so simple, in fact, that you might be tempted to skip it in favor of heavier fare. Definitely don’t! 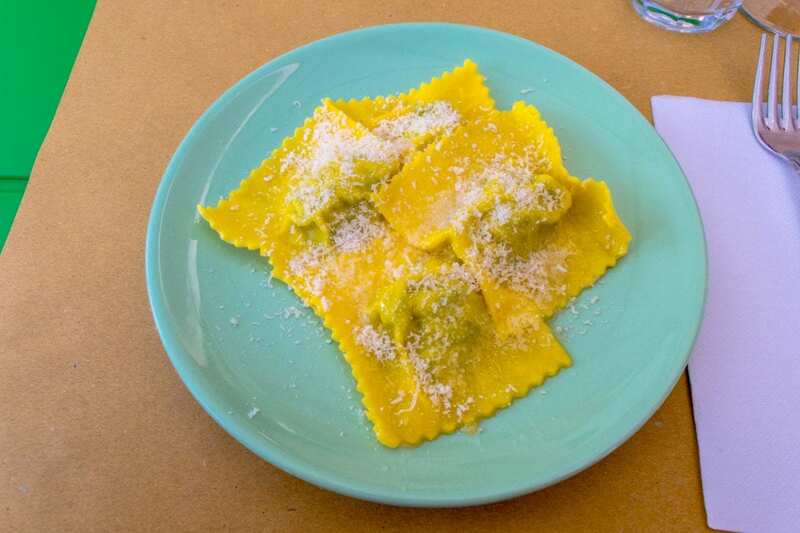 While tortellini is delicious in all sorts of cream sauces (or smothered in pesto, which is our totally untraditional favorite way to eat it), the traditional dish is delicious and definitely worth sampling while in Bologna. If there’s one dish you add to your list of things to do in Bologna, make it this one. The real version of what the rest of the world knows as spaghetti bolognese is incredibly delicious: think thick, wide noodles that big and strong enough to hold the meat sauce in a way that the spaghetti used in “regular” spaghetti bolognese never could. Like tagliatelle al ragu, mortadella comes with a different name abroad–bologna (gee, I wonder where that name came from?!). Don’t be fooled, though: while you can tell enough similarities between mortadella and bologna to see why they are compared, mortadella is in a whole different league. At least 15% of any given mortadella is made up of small cubes of pork fat, giving it a smooth, creamy texture and a delicious taste. Sweeter than the better-known salty proscuitto of nearby Tuscany, prosciutto di parma is perhaps the most popular cured meat in Bologna–we recommend getting a heaping plate of it (along with some mortadella and salame rosa) at an outdoor cafe in Bologna, adding a cheese plate and a glass of wine, and digging into it as a delicious (and simple) meal. 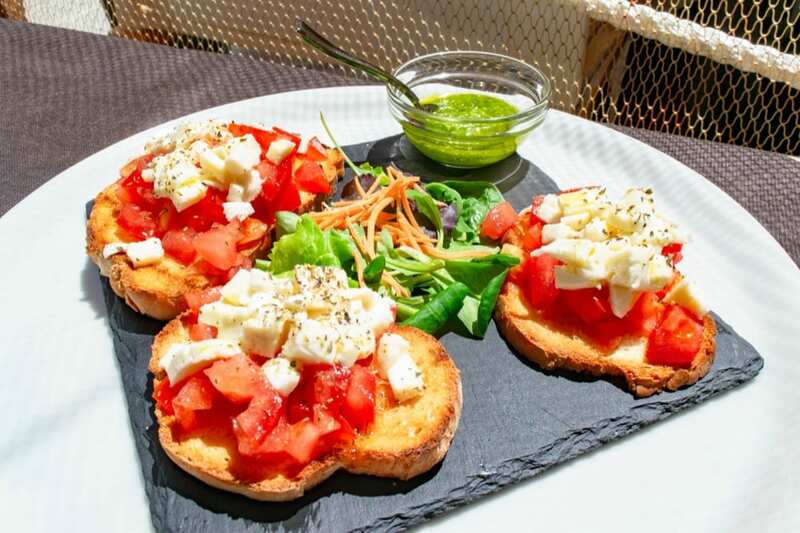 Residenza Bianconcini — Set in a historic building in the university district, the Residenza Bianconcini is especially noted in the reviews for its charming neighborhood close to major attractions and its delicious included breakfast! Check rates & book your stay at Residenza Bianconcini! B&B Second Floor — Located a short walk from Bologna’s leaning towers and many other major attractions, this B&B has fantastic reviews across the board. Check rates & book your stay at B&B Second Floor! Because we spent a month in Bologna, we rented this spacious Airbnb a bit away from the center of town. The apartment was perfect for long visits (very clean, close to a grocery store, great wifi), but the 20-minute walk to the center of Bologna means that we wouldn’t recommend it for a short stay. I would spend hours at the piazza! Gotta love some good old fashioned people watching. Rocking post! Awesome and super-comprehensive post! That view from the tower though, gulp! The museum to the crashed plane sounds really interesting and moving. A friend just got back from Bologna and really raved about it, and after reading this post I think I’ll have to put it on my list too! Haha, right?? The view itself was manageable for me (very enclosed), but the way up was NOT FUN. Worth it, though! Fingers crossed for you! It’s a fabulous city. 🙂 Italy has so many delightful nooks and crannies, I think it will take a lifetime to get to them all! We are headed to Bologna in June. Thanks for your posts. Did you happen to visit the Basilica Santo Stefano Complex? Thanks again! Only to the piazza outside it! We haven’t been in that particular complex. 🙂 Hope you have an amazing time in Bologna!